One of my minor frustrations with Elizabeth Andoh’s “Kansha” (my review is here) is that quite a few recipes feature burdock (a.k.a. 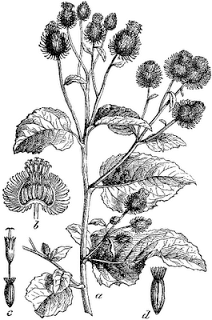 great burdock, gobo, Arctium lappa), but all of the supply in local markets seems to be grown in Taiwan, even in Berkeley Bowl and Tokyo Fish Market, two markets that have many types of produce used in Japanese cooking. So I’m trying to grow my own. Seeds were not easy to find. Fortunately Kitazawa Seed Company, an Oakland-based company that specializes in vegetable varieties that are popular in Asia (e.g., many types of eggplants, special varieties of radish, various greens) carries several types of burdock and my favorite nursery (Berkeley Horticultural Garden) was happy to place a special order. Kitazawa is an old company (by California standards), founded in San Jose in 1917. During WWII, the company closed down while the Japanese-American Kitazawa family was imprisoned in a relocation camps. After the war, they restarted the business and today sell approximately 250 seed varieties, which can be ordered on-line and found in some retail shops. In Berkeley I have seen their seeds at Berkeley Bowl and Berkeley Horticultural Nursery. So far, the plants seem to be doing well, putting out new leaves and looking healthy. Despite minimal international enthusiasm, I’d still say that the curious cylindrical yardstick has undeniable charm, if considered as a backup voice — not a lead singer. 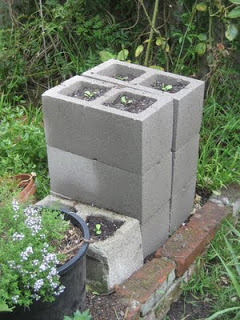 If the vegetable grows successfully, I’ll have a post about how to use the vegetable in a few months. Image of Lappa vulgaris from Wikimedia Commons, from a book from 1892. I wanted to tell you first that you are beyond dedicated to your recipies! Wow… I don't try a lot of things due to the ingredients that I will have to buy and not use often. I just click on almost all of your links so see if you have an uptick of visitors… after me – as I was going back and forth. Wishing you well! Come out here and visit!